Car accidents are one of the most common types of personal injury in the United States and, locally, in the Greater Lake Charles area. Many Lake Charles residents depend on cars to get to school and work, to buy groceries, and to get around generally. Even those who walk or rely on other modes of transportation can be struck by a drunk or distracted driver. The unfortunate truth is that almost every person, no matter how careful, is involved in a vehicle accident at some point in life. This is especially true in the Lake Charles area, which is the fifth largest city in Louisiana and considered a tourism hotspot, as well as an epicenter for festivals, hosting some 75 festivals annually. These factors, combined with an ever-growing population suggest that traffic in and around Lake Charles can be very dangerous at times. When Do You Need a Lake Charles Car Accident Attorney? While not every car accident creates a need for a car accident attorney, auto accident lawyers become necessary when an accident causes major injuries which require medical attention or leave you unable to go about your daily routine. In these cases, retaining a Lake Charles, Louisiana car accident lawyer can help protect your legal rights and ensure that you and your family receive the justice and compensation you deserve. If you or a loved one has suffered a car accident or other type of injury from a Lake Charles auto, truck, van, or bus and any of the above factors are present, then you should retain a Lake Charles car accident attorney immediately. Why Do You Need a Lake Charles Auto Accident Lawyer? 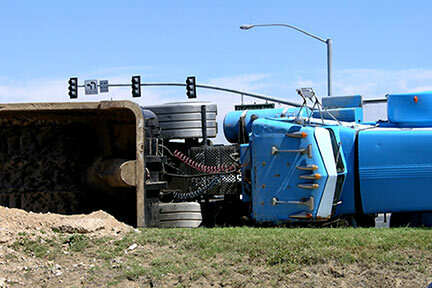 Southwestern Louisiana car crash lawyers handle car accident cases, motorcycle accidents, and commercial truck accidents throughout the Lake Charles area and in all areas of Calcasieu Parish. Additionally, they represent drivers, passengers, pedestrians, and bicyclists who have suffered an injury in a Southwestern Louisiana traffic accident where another driver may have been at fault. The legal term for this type of fault is “negligence.” If the negligence of another driver has caused you or a family member to suffer an injury in the Lake Charles area, you may be entitled to monetary compensation for your injuries. If the driver of the other vehicle was intoxicated, you may even be able to recover punitive damages. 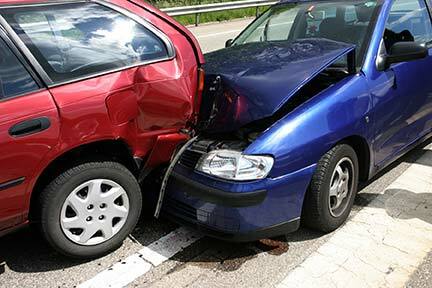 Call a Lake Charles car accident attorney to discuss your options today. Additionally, Louisiana has laws that differentiate Louisiana auto accident claims from those in other states. Louisiana allows the injured party to sue the other driver’s insurance company directly, without suing the other driver at all. This is called a direct action. Juries are often willing to give higher awards in these cases because the money is coming from a corporation and not another driver. However, the insurance companies are aware of this, so they have experienced lawyers on their side. To navigate the legal system and obtain the compensation you deserve, you need an experienced Lake Charles vehicle accident lawyer. If you think that a manufacturing or design defect in a vehicle led to the accident, contact a Lake Charles Products Liability Lawyer. You need a Lake Charles auto accident attorney to help you select the best venue, or court location, to file your lawsuit. 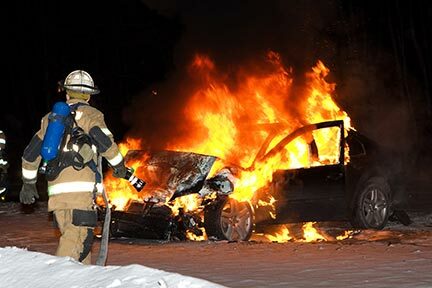 Finally, when a case is properly prosecuted by an experienced Lake Charles car accident lawyer, the insurance company may “see the light” and will generally offer you what the value of your claim is actually worth in a settlement. For all these reasons, you should not hesitate to retain an experienced Lake Charles automobile accident lawyer near you to help you pursue claims related to an injurious car, truck, bus, or van accident. If you or a loved one has been involved in a car accident in the Lake Charles area or anywhere in Calcasieu Parish, Southwestern Louisiana, or surrounding areas, please contact one of the experienced Lake Charles auto accident law firms listed on this page. The more information you can provide your Lake Charles Car Crash Attorney with, the better your chances of recovery. Drunk driving is the cause of many accidents in Lake Charles. Contact Alcoholics Anonymous for help if you, a friend, or family member has an alcohol problem or frequently drinks and drives. Contact a Lake Charles Auto Accident Attorney Today to Preserve Your Rights! To find a Lake Charles Car Crash Lawyer, consult the list of qualified attorneys at the top of this page. The lawyers listed there are trained, licensed attorneys with Car Accident Injury experience who can help you get the justice you deserve.